Please join us on September 17 from 2-3:30pm for a presentation by Chris Bail, the Douglas and Ellen Lowey Associate Professor of Sociology and Public Policy at Duke University. This presentation is part of the UC Berkeley Department of Sociology's Colloquium Series and the DLab/Matrix "Social Science and Data Science" series. Social media sites are often blamed for exacerbating political polarization by creating "echo chambers" where people are seldom exposed to information that contradicts their pre-existing beliefs. We conducted a field experiment on one such platform designed to disrupt echo chambers by exposing a large sample of Democrats and Republicans to a Twitter bot that retweeted twenty-four messages each day from elected officials and other opinion leaders with political views that are different from their own each day. We found that Republicans became substantially more conservative after following a liberal Twitter bot. Democrats exhibited slight increases in liberal attitudes after following a conservative Twitter bot, but these effects were not statistically significant. Despite several important limitations of our study, these findings have important implications for ongoing attempts to reduce political polarization in applied settings and the emerging field of computational social science. Chris Bail is the Douglas and Ellen Lowey Associate Professor of Sociology and Public Policy at Duke University. 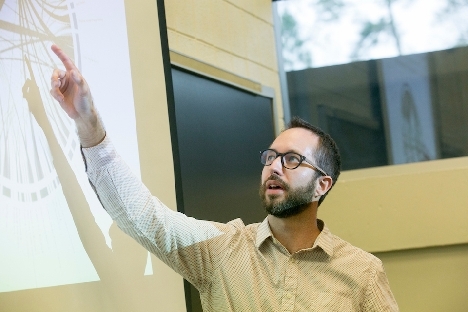 His research examines political polarization, culture and social psychology using tools from the emerging field of computational social science (e.g. digital trace data from social media sites, automated text analysis, and machine learning).